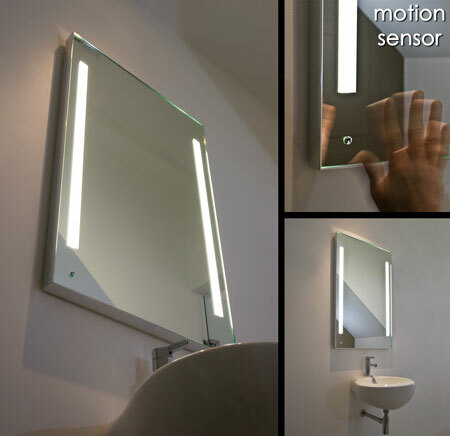 The E- Motion illuminated bathroom mirror light has a motion switch sensored which is only activated when required and is timed to automatically turn off. Each mirror is heated with a de-mister heat pad,allowing condensation steam free viewing. This contemporary styled mirror is finished with a stylish silver frame and is illuminated with low wattage energy saving lights. * Low energy mirror lights. * Motion sensor light activation. * Fitted landscape or portrait.